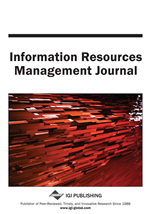 This study was undertaken to identify antecedents of user satisfaction with EDI systems by surveying key end users of EDI in a variety of firms across the United States. Although there is much empirical evidence about factors underlying EDI adoption and implementation, there is little information from the perspective of the end user. The vast majority of what we know about EDI success (or failure) is based on the EDI manager’s or IT perspective. However, there is evidence that suggests if users are not satisfied with a system, they will not use it. Thus, a study of user satisfaction with EDI can provide firms seeking to better leverage their EDI investment with a different and useful perspective on factors that underlie EDI. Two findings indicate that the greater the perceived benefits of EDI, the greater the user satisfaction; and the more compatible EDI is with existing organizational practices and systems, the more satisfied the users are with the system. Although EDI managers may have suspected this was true, empirical support of heretofore largely anecdotal evidence has several implications for successfully managing EDI adoption and integration. These implications hold not only for the adopting firm, but also for firms that may require, or are considering requiring, trading partners to implement EDI. Finally, implications for future EDI research are discussed.